Did your Elf arrive into your home and now you are racking your brain each night for fun and creative ways and places for your elf to hide out from your children? 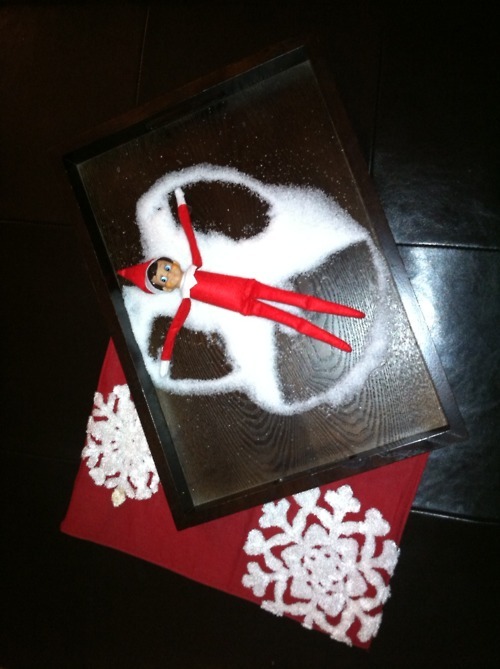 - A website called Elf on the shelf Ideas that had several fun ideas with pictures showing you creative ways for your elf to surprise your children come morning. Click here to go there now. Unroll toilet paper roll on the floor, around Christmas tree, etc.